Smart Stories™ – Ready to start on an ancestor’s story? The Smart Story editor makes it easy to drag and drop text and photos from your tree into story pages that will update automatically when you make changes to your tree. More Complete and Relevant Timelines – Find and add more events to your ancestors' lives. Add, edit and delete your own historical events and apply historical events by time and geography. New and Improved Charts – Enjoy four new fan chart styles. Enhance charts with backgrounds, borders and embellishments. And use fonts you can change based on fact type. Improved Integration with Ancestry.com – Ancestry.com has millions of members all over the world. Now you can find out if any of them are searching for your ancestors by viewing Member Connect activity on your home page, plus links to related message boards and new messages in your inbox. You'll also enjoy faster uploading and downloading of your tree. New Media Management Tools - Drag and drop, cut and paste, and even categorize multiple items at the same time. You'll also find a new tool that will help you locate missing media files. Enhanced Reports – Enhanced ancestor and descendant reports, added a surname report and allowed you to sort custom reports, plus you can now save and reuse report settings. Family Tree Maker 2011 is now available to purchase online at http://www.familytreemaker.com/ starting at $39.95. The program is also set to be released in select retail stores. PROVO, UTAH – August 27, 2010 – Ancestry.com today launched millions of records that now make up the largest searchable collection of yearbooks available online. Along with Ancestry.com’s existing collections, there are now more than 60 million yearbook records available in the site’s U.S. School Yearbook collection, which also includes class and candid photos of famous celebrities. The 10,000 yearbooks included in the new U.S. School Yearbook collection feature yearbooks from high schools, junior highs, academies, colleges, and universities—military, public, parochial, and private—from almost every state in the United States spanning 1875-1988. What can be found in an old yearbook? Perhaps you will find a photo of your great grandfather or even a famous classmate. Like Ancestry.com that discovered the Academy Award-winner, Sandra Bullock, at her high school homecoming dance was already fighting off men – or in this case a young man – trying to steal a kiss on the dance floor, or a teenage Will Smith tackling science class before he ventured off to be the Fresh Prince of Bel-Air. Below are more details on the new celebrity photos found in the U.S. School Yearbook collection. In addition to their official yearbook photos, many of today’s biggest stars were captured in their school activities exhibiting the dynamism that later brought them to fame and fortune. Sandra Bullock – “To be a varsity cheerleader, the girls had to sacrifice a lot of time, money and energy,” appeared in the 1982 Washington-Lee High School yearbook story on the Arlington, Virginia Varsity Cheerleaders, which included Academy Award-winner Sandra Bullock. Bullock had no shortage of energy since Ancestry.com also discovered her high school photos from the Thespian Honor Society and the German Honor Society. Of course she still had time to attend the Homecoming Dance where her dancing partner was captured trying to steal a kiss. Betty White - The Emmy Award-winning actress is experiencing a career comeback after a Facebook campaign landed her a gig as the most popular guest host on this past season of “Saturday Night Live”. Along with her newly discovered popularity, White’s fans can now share her newly discovered high school photo from Beverly Hills High School in 1936. Alec Baldwin – Alexander Baldwin was no high school activity slouch at Alfred G. Berner High School in Massapequa, New York. In 1976, he served as Class President, and was a member of the youth council, drama club, the student activities council, the lacrosse and football teams. Nicolas Cage – A very young Nicolas Coppola is pictured in his Beverly Hills High School 1979 yearbook official picture looking quite serious hiding any glimpse to the versatile star’s great sense of humor. The entire yearbook collection will be available on Ancestry.com to existing members or through a 14-day free trial for new members. For anyone interested in discovering their ancestors in the yearbook collection, visit www.ancestry.com/yearbook to search the full collection of 60 million records. Ancestry.com and NBC Team Up for a Second Season of "Who Do You Think You Are?" Thomas specializes in educating the “non-techie” crowd on various types of technology in a friendly and non-threatening environment. Cost will be $20 for EWGS members or $25 for non-members, which includes a choice of three box lunches from Apple Spice Junction for pre-registered attendees. A special presentation, "Building a Research Toolbox," will be held for EWGS members only on Friday evening, October 1 from 6:30 - 8:00 PM, in the same location. A registration form can be downloaded here. Check in will be at 8:30 AM Saturday and the workshop will be held from 9:00 AM through 3:30 PM. A lunch break will take place from 11:45 AM to 1:15 PM. Paid parking is available across the street in River Park Square. For more information, contact Miriam Robbins Midkiff. The August 2010 Scanfest will take place here at AnceStories next Sunday, August 29th, from 11 AM to 2 PM, Pacific Daylight Time. If you would like to be a Producer, please e-mail me no later than Saturday, August 28th at 4 PM, PDT and I'll send you an invitation. Preference will given to previous Scanfesters. You must set up an account (free!) ahead of time to be a Producer. This account will be good for all future Scanfests. You can do some practices ahead of time by going to My Account and clicking on the link under Practice your live blogging. Again, you must have IE 6.0+ or Firefox 2.0+ to be a Panelist. This is the 27th post in a weekly series of Online American Digital Archives and Databases found for free at state, county, municipal, college and university history, library, and archive websites, as well as public and private library and museum sites, and historical and genealogical society sites. 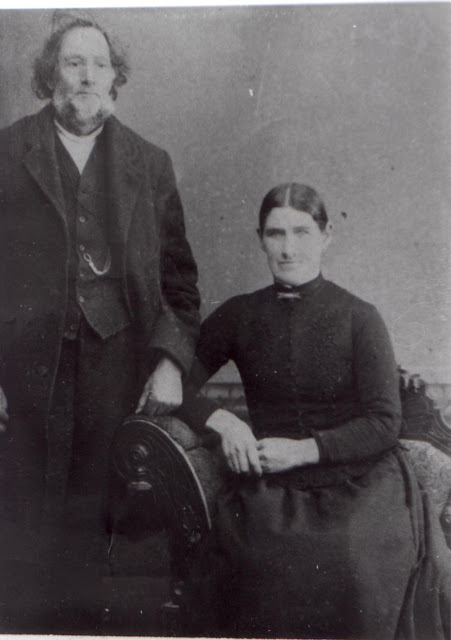 Brigham Young University (Idaho) Special Collections and Family History - http://abish.byui.edu/specialCollections/index.cfm - Includes the Western States Marriage Index which contains many Montana marriages from as early as 1864 to as recently as 2008, depending on the county. Little Big Horn College Library - http://lib.lbhc.cc.mt.us/ - from this page you can find Tribal Histories Online, a Place Names Database (compiled Crow place names and the narratives associated with them), and the college archives, which include an image archive search. Montana State University-Billings Library Special Collections - http://www.msubillings.edu/library/Speccoll/Speccoll.htm - samples from the special collections are available online in this simple website. Most information is centered around finding aids, but the Dudley White Collection has a link to Montana in Black and White, with fascinating "then and now" photos comparing black and white historical photos with current color ones of locations in Montana. Montana State University Libraries Digital Collections - http://www.lib.montana.edu/digital/index.php - highlights are two photograph collections. The Thomas Brook Collection is "photographs of southwest Montana’s people and places during the late 19th and early 20th centuries, in and around the Twin Bridges area of Madison and Beaverhead Counties." The James Willard Schultz Collection "cover(s) Montana’s Native American people and places in and around Browning, Montana and Glacier National Park during the early 20th century." There is also a full-text retrieval of MSU's theses and dissertations. Montana State University - Northern Vande Bogart Library - Special Collections and Archives - http://www.msun.edu/infotech/library/archives.htm - Indian Peoples of the Northern Great Plains is the only online collection available. Is is a searchable online photograph database of historic images of Native Americans, their way of life, and their art. D'Arcy McNickle Library - Digital CharKoosta News - http://skclibrary.skc.edu/?q=node/8 - digitized issues of a publication of the Confederated Salish and Kootenai Tribes of the Flathead Indian Reservation, started in November 1956 and continued through five decades; digitization covers the years 1956-1961 and 1971-1988. Check out my Montana Online Historical Directories and my Montana Online Historical Newspapers pages. This is the 26th post in a weekly series of Online American Digital Archives and Databases found for free at state, county, municipal, college and university history, library, and archive websites, as well as public and private library and museum sites, and historical and genealogical society sites. Missouri Digital Heritage - http://www.sos.mo.gov/mdh/ - if this one site was the only link in this post, it would be treasure enough! They don't call Missouri the "Show Me" state for nothing, and here's what Missouri has got to show you: birth, marriage, death, church and cemetery records and family papers; maps; newspapers; military records and resources; postcards, photographs; county and municipal records; Native American, African American, immigrant groups; agriculture; transportation; city directories; books and diaries; government and political records, and much, much more! Missouri State University Digital Collections - http://digitalcollections.missouristate.edu/ - highlights include two Frisco collections of railroad ephemera and images, several African-American collections, the Copenhaver Collection (milling industry in Springfield), Greene County Aerial Photography, and a War Memorial Album (photographs and biographies of 93 students and alumni who lost their lives in World Wars I and II and the Korean Conflict). Southeast Missouri State University Special Collections and Archives - http://library.semo.edu/archives/index.htm - Online Exhibits include Women's Literary and Social Clubs of Cape Girardeau and Woman Authors of Southeast Missouri. It appears they will eventually have digital collections at this site as well. Truman State University - Pickler Memorial Library - Special Collections and Archives - http://library.truman.edu/scpublications/publications.asp - University Archives contain finding aids and indexes, biographies, history and tradtions, alumni and student rosters, and veterans memorials. Electronic Collections contain the Chariton Collector, "a semi-annual journal of northeast Missouri history and folklore published by the Local History Classes of Kirksville High School in the 1980s." Washington University Libraries Department of Special Collections - Film and Media Archive - Digital Resources - http://library.wustl.edu/units/spec/filmandmedia/digital.html - Eyes on the Prize interviews: "a 14-part series which was originally released in two parts in 1985 and 1988. This series, which debuted on PBS stations, is considered to be the definitive documentary on the Civil Rights Movement." Highlight includes an interview with Rosa Parks. Concordia Historical Institute - Archives and Manuscripts Collections Searchable Database - http://chi.lcms.org/collections/search.asp - "...one of the world's largest repositories of information on Lutheranism in North America. With over 1,400 individual collections and more than 2.6 million documents, the archives and manuscript holdings document American Lutheran history from the 19th century 'Old Lutheran' immigration movements to the present." St. Louis County Library Special Collections Department - http://www.slcl.org/branches/hq/sc/ - links to multiple online genealogical and historical indexes and databases (books, newspapers, vital records, cemeteries, obituaries, church records, naturalization, military), the St. Louis Genealogical Society, extremely informative and useful research guides and finding aids, and "The St. Louis City & County Split of 1876 & How It Affects Research in St. Louis." Very effective and easy-to-use site. St. Louis Public Library Premier Library Sources - http://www.slpl.lib.mo.us/library.htm - Indexes, lists, and biographies to materials in the following subjects: African-American resources; Louisiana Purchase Expo of 1904; women; magazines and newspapers; obituaries; government; military; and St. Louis biography, virtual exhibits, history, neighborhood, suburbs, and streets, and photograph collections. Springfield-Greene County Library District - Local History - http://thelibrary.springfield.missouri.org/lochist/ - Check out the local history articles in the main column on this webpage. Then visit Collections in the left-hand menu for links to the Civil War, newspaper indexes, Greene County histories, and historical periodicals, as well as more links to collections off site. Back at the home page, click on Genealogy or Missouri and Ozarks in the right-hand menu for links to digitized collections on the site and links to other helpful resources at other sites. Digitized collections include Greene County Records (abstracts and indexes of a number of court and other records), photos, Black Families of the Ozarks, a gazetteer, historical postcards, the St. Louis-San Francisco Railway collection, historical markers, ethnic life stories, and much more. Check out my Missouri Online Historical Directories and my Missouri Online Historical Newspapers pages. Boston, MA - August 19, 2010 - D. Brenton Simons, President and CEO of the New England Historic Genealogical Society (NEHGS), today announced the launch of AmericanAncestors.org, the organization's new website that will serve as the home of its growing regional and national genealogical resources. AmericanAncestors.org will contain all of the Society's New England and New York content, features, articles, and resources, as well as weekly updates and databases in a variety of regional and ethnic specialties, such as sources for mid-Atlantic, Irish, and African American research. Simons said, "This website marks a transformative experience in our 165-year history, the first genealogical society founded in America. 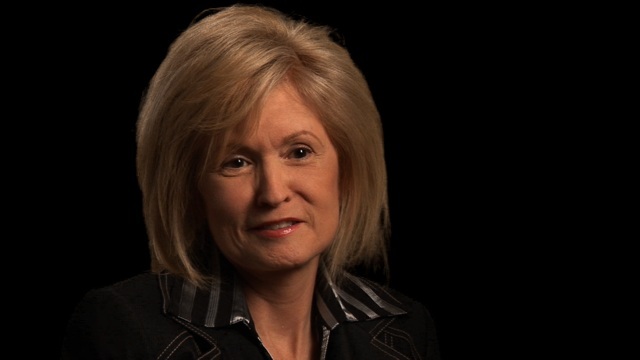 It represents the next major step ahead as we continue to expand our resources." Simons added, "AmericanAncestors.org is a new, dynamic platform from which we will grow in our position as a leader in American genealogy and as the nation's largest genealogical society." Simons also said that NEHGS remains committed to its core strength, namely New England genealogical scholarship. "New England will always be our greatest strength and primary focus, as well as our cherished institutional name. We have much New England material to bring to the public and the new website will add 25 million additional New England names to search." NEHGS Board Chairman, Eric B. Schultz, said, "AmericanAncestors.org will help family historians of all levels have a much better understanding of our core assets and resources. We are proud of the fact that NEHGS has worked to define genealogy in America, and this site will help advance our important national mission." In addition, NEHGS is inviting people to sign up for the NEHGS "Guest User" program. This free registration gives anyone access to the popular weekly news stories as well as special access to a variety of databases, resources, articles, and other tools to help with their research. More information can be found on the NEHGS website at www.AmericanAncestors.org. The Society's "American Ancestors" identity was announced earlier this year, when its quarterly member magazine was rebranded American Ancestors: New England, New York, and Beyond. In October 2009, NEHGS began publishing American Ancestors Journal, an annual supplement to its quarterly journal, The New England Historical and Genealogical Register. I wrote about my husband's ancestors' experience last October in my post, The Martin Family and the Great Fire of 1910. My local paper, the Spokesman-Review, has recently been publishing a series of fascinating articles about the fire. If you go to this link, you will see that currently there are 19 articles, three photo galleries, a video, an audio file, and a blog post published at their website that are tagged with the 1910 Fire label. Additionally, area museums are showcasing exhibits about how the fire affected local communities (see list here) and the Forest Service also has some ceremonies and exhibits as well. Spokane Is Reading is bringing prize-winning author Timothy Egan (known especially for his book on the Depression, The Worst Hard Time: The Untold Story of Those Who Survived the Great American Dust Bowl) to Spokane on October 7th to speak for free on his newest book, The Big Burn: Teddy Roosevelt and the Fire that Saved America . The FamilySearch Research Wiki is a free resource created by the genealogy community. The core content for the Tennessee page was contributed by the expert researchers at the Family History Library in Salt Lake City, Utah. The page also includes tips and research advice from local experts. The Wiki staff is currently working on updating all of the state pages; Tennessee is one of the first because the 2010 Federation of Genealogical Societies Conference will be held in Knoxville August 18 to 21. For more information about the FGS conference, please visit: http://www.fgs.org/2010conference/index.php . “We’ve pulled together Family History Library staff and local experts to create outstanding research guides for Tennessee genealogists. The web 2.0 format allows new information to be added as soon as it becomes available, unlike printed guides, where updates wait until the next edition. If you were to print all 154 Tennessee Wiki county, topic, and archive guides found on this site, and bind it into a book, this Tennessee genealogy encyclopedia would be more than 1000 pages long." 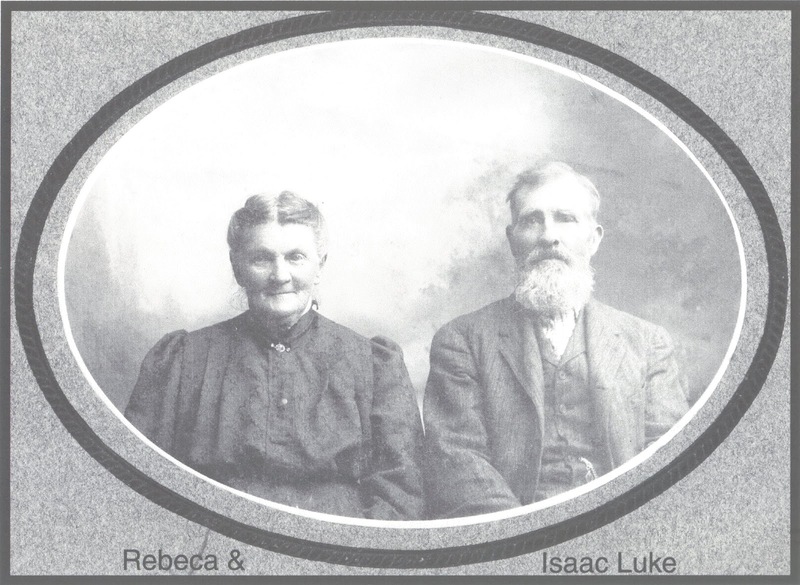 Rebecca (Hewitt) and Isaac Luke. Probably Avon Twp., Bon Homme Co., South Dakota. 1908. Copy privately held by Miriam Robbins Midkiff, [ADDRESS FOR PRIVATE USE], Spokane, Washington. 2010. If you live in the Spokane area, I would like to invite you to take one or more of my Online Genealogy Classes, available through the Community Colleges of Spokane's Institute for Extended Learning. The first class is "Finding Your Ancestors in Online Vital and Cemetery Records" (Course L207) and will explain what vital and cemetery records are, why they are useful to family historians, and where to find them on site and online at both free and subscription websites. This class will be held Tuesday, October 5th from 6:00 to 9:00 PM at the CenterPlace campus, 2426 N. Discovery Way, Spokane Valley, Washingon. The second class will be "Finding Your Ancestors in American Military Records" (Course L204). Is there a veteran in your family tree or a family story that an ancestor served in the Civil or Revolutionary War? This class will teach you how to locate military records from the present to the American colonial period, and will be held Tuesday, October 26th from 6:00 to 9:00 PM, also at the CenterPlace campus. For both classes, it's important to have a working understanding of the Internet as well as an e-mail address. You may register for either course by calling the IEL at (509) 279-6030 or (800) 845-3324; you can also register online by going to the course webpages here (vital/cemetery) or here (military). I apologize for this late notice; these episodes are also available to watch online at the NBC website here. 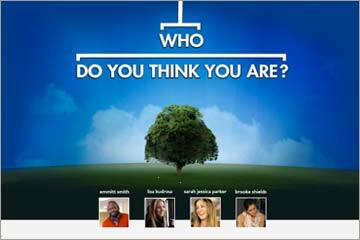 Four encore episodes of NBC's Who Do You Think You Are? series will be shown Friday evenings beginning August 13 at 8/7c PM. The episodes will feature Lisa Kudrow, Sarah Jessica Parker, Emmitt Smith and Brooke Shields. My KIMBALL line ends with my paternal great-grandfather's mother, Mary May KIMBALL, and so far, can only be traced back two generations. I believe this line ties into the family tree of Richard KIMBALL, who emigrated in 1634 from Suffolk, England to Watertown, Massachusetts. However, I have not actively pursued this line to prove my theory. 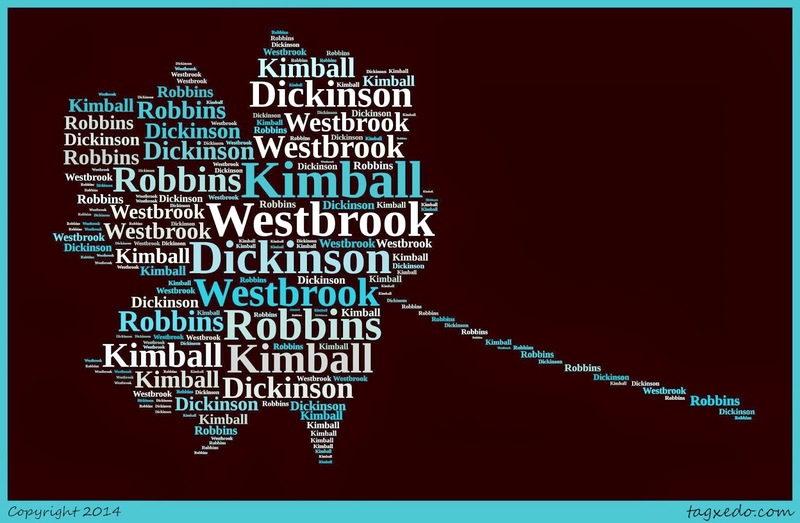 The name is frequently spelled KIMBLE and KIMBELL, and once in a great while, CAMPBELL. Ahnentafel #68 - William KIMBALL (c. 1806 - 1879) - born in Vermont, he married Amanda WESTBROOK c. 1834 in Chagrin Falls, Cuyahoga Co., Ohio. The first four of their eleven children were born in Ohio between 1835 and 1841. In 1843, he removed to Kalamazoo Co., Michigan, where he resided in Pavillion Township. Ten years later, he removed again with his wife and children to Dayton Twp., Newaygo Co., Michigan, where he lived for the rest of his life and where he probably died (his death did not get recorded, but I have a copy of his will). Three of his sons served in and survived the Civil War. Ahnentafel #34 - Benjamin Henry KIMBALL (1845 - 1924) - frequently went by "Henry"; I have outlined a sketch of his life here for my Civil War Soldiers and Sailors series. Ahnentafel #17 - Mary May KIMBALL, a.k.a. Lula WEAVER (1873 - 1950) - when her mother died either in childbirth with her or shortly after, Mary was raised by her maternal aunt. I have written a detailed AnceStory for her on my website here. 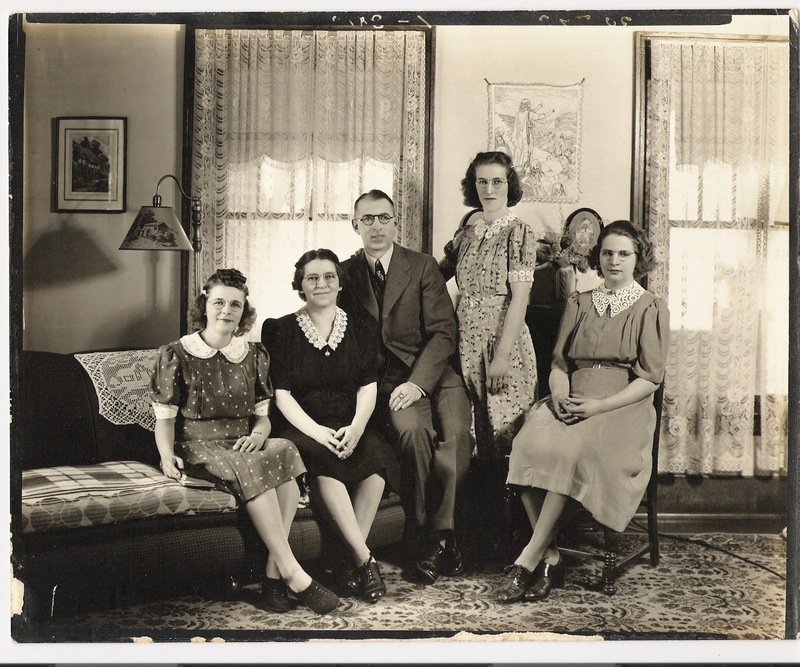 Left to right: Ruth Lillian (Hoesktra) Valk, Lillian Fern (Strong) Hoekstra, John Martin Hoekstra, Mary Louise Hoekstra, and Hope Mildred Hoekstra. 2710 Forest Grove, S.W., Grand Rapids, Michigan. 1944. Original privately held by Kathy Birnell, [ADDRESS FOR PRIVATE USE], Wellington,Kansas. 2007. I woke up this morning, poured myself a cup of coffee, grabbed my netbook and crawled back in bed to read the blogs and news, completely unsuspecting that tragedy would hit twice and personal this morning: former Alaska Senator Ted Stevens was killed in a small aircraft crash near Dillingham, Alaska; and genealogy blogger Terry Thornton, known best for his blog "Hill Country of Monroe County, Mississippi" has passed. I don't believe I ever met Senator Stevens, but I grew up with him being a part of my life, sitting in the background, if you will. I was born and lived in Alaska until I was twelve, and as constituents, my family regularly received congressional updates from the senator as well as our other political representatives. I remember they would come in white envelopes with the return address in blue ink and a small bust of Stevens embossed with his signature "Ted F. Stevens" in the upper left hand corner. My parents were supporters of him and he did a lot of good for Alaska in the nation's capital. Additionally, we had a personal connection as well. My granduncle's widow, Mary E. [--?--] ERWIN SHORES, was one of his secretaries in D.C. She had been married to my paternal grandmother's biological brother, and although Uncle Jim and Aunt Mary were separated at the time of his early death, Aunt Mary and my grandmother remained close. In 1970, when I was three years old, we visited my extended family in Michigan in a trip from Alaska. From the Grand Rapids area, my parents and I took a road trip to D.C. with my paternal grandparents. Some of my earliest memories include seeing the Capitol lit up at night while driving by, as well as playing with Aunt Mary's little dog in her home. Over the past few years, I've been trying to find out more about Aunt Mary. My grandmother has Alzheimer's, so I cannot turn to her for answers. I believe Mary was a Michigan girl who married my granduncle James Erwin. After his death, she married Michael Shore. I have tried to find death information on Aunt Mary and Uncle Mike, but without knowing more details, I can't distinguish them in the lists of Mary Shores and Michael Shores in the Social Security Death Index. Looking for their obituaries online has proved fruitless. A couple of years ago, I considered writing Senator Steven's office for assistance, but that was in the middle of his corruption scandal and federal trial (which further cements in my mind my opinion that lifetime political careers should be banned, no matter what the party or how effective a leader one is). Just a couple of weeks ago, I came across annual Congressional reports of various senators' and congressmen/women's staff and salaries; some staff had small biographies, and although I found Mary E. Shore listed several times with her salary as a secretarial staff member for Stevens, I could not find a biography. All these thoughts flew together as I read the news about Stevens possibly being in a crash. I well remember the news of the crash he survived in 1978 that claimed several people's lives, including his wife Ann's. You don't grow up in Alaska without knowing someone that has died in an aircraft crash or has drowned. My parents lost some good friends whose helicopter flew into the side of a mountain during poor visibility, and one of my best friends survived a shipwreck and a subsequent month stranded on an island in the coldest winter in Alaska in 70 years...at 12 years old. So when I hear this story on the news, my heart goes out to the friends and family members of the people who were in that plane...that has got to be one of the most frightening ways to go. The other sad news is that genealogy blogger William Terrance "Terry" Thornton of Hill Country of Monroe County, Mississippi and other popular genealogy blogs passed yesterday. 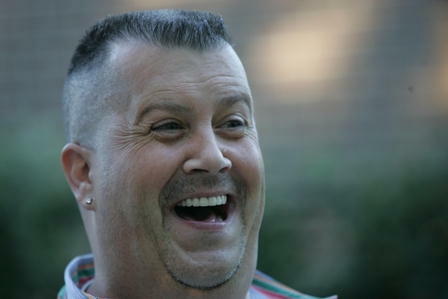 His cousin, Lori Thornton of Smoky Mountain Family Historian, and good friend the footnoteMaven who also writes for The Graveyard Rabbit (of which Terry was a founder) have some moving tributes on their blogs. I never had a chance to meet Terry, but for several years we corresponded regularly by email. He featured a number of my posts on his weekly column "Harvest from the Blog Garden," and I did have an opportunity to speak with him on Skype once or twice while a group of us were batting around an idea of a genealogical bloggers' society (which eventually became The Geneabloggers Group). To quote Ralph Fletcher: "Artists develop a love for the feel for their tools, the smell and texture of clay, wood, or paint. Writers are no different. Writers love words." Terry was a true writer, and he had a wonderful gift. He will be missed. This is the 25th post in a weekly series of Online American Digital Archives and Databases found for free at state, county, municipal, college and university history, library, and archive websites, as well as public and private library and museum sites, and historical and genealogical society sites. Mississippi Digital Library - http://www.msdiglib.org/cdm4/browse_mdl.php - collaborative digital effort composed by Beauvoir: The Jefferson Davis Home and Presidential Library, Delta State University, First Regional Library, Gulf Park College for Women, Jackson State University, Katrina Research Center, Mississippi Gulf Coast Community College, Mississippi State University, Tougaloo College, University of Mississippi, and University of Southern Mississippi. Mississippi State University Libraries Special Collections - Digital Collections - http://library.msstate.edu/specialcollections/digitalcollections.asp - University Archives photo collection ("span the history of the University, and depict campus life, buildings, organizations and athletic events over the years"); CHARM (The Consortium for the History of Agricultural and Rural Mississippi) which "provides access to documents and artifacts that chronicle the history of agriculture, forestry, and rural life in Mississippi." University of Southern Mississippi Gulf Coast - Katrina Research Center Digital Archives - http://www.usm.edu/katrina/digital-archives.php - "consists of still images documenting the Gulf Coast prior to Hurricane Katrina and the destruction following the storm"
John S. and Nancy Amanda (Crothers) Phelps. Probably Bengal Twp., Clinton Co., Michigan. C. 1887. Copy privately held by Miriam Robbins Midkiff, [ADDRESS FOR PRIVATE USE], Spokane, Washington. 2010. The August 2010 Calendar of Events has been posted here in its regular spot at 2:00 AM, PDT on August 1. My apologies for this late posting. Note that by now the August 2010 Edition of the Graveyard Rabbits Carnival, the 3rd Edition of the Carnival of Genealogical Societies, and the Wedding Issue of Shades the Magazine have already been published! Also, Thomas reminds us to back up our data at his Data Backup Day post. Lots of great reading here, folks! Catch all these articles, as well as due dates for future carnivals, Scanfest, and information on celebrating holidays, heritage, and history in August, here at the August 2010 Calendar of Events! Would you like to win $250 in genealogy books, CDs and DVDs? Who wouldn't! Enter our Genealogy Giveaway Sweepstakes by Aug. 31, 2010, and you could be the big winner. In fact, you can enter every day, so bookmark win.familytreemagazine.com and try your luck. We'll announce the randomly selected winner in early September. Note: You must be a US resident 18 or older to enter. ...I have heard from a good number of our customers requesting an extension to our July 31st expiration date as many people are either on vacation or just returning. For this reason, we are extending the 20% discount offer (discount code WCC123) through August 15, 2010; but by prior agreement the Apple products promotion must end July 31st....(For clarity sake, the terms and conditions follow). Again, I thank you for your continued support of our company. We appreciate your business and hope this two-week extension will allow more customers time to take advantage of the savings. - 20% Discount is only available on orders of $100 or more and is calculated before shipping, handling, and any applicable taxes or duties. - 20% Discount cannot be combined with any other offers or promotions or applied to any order(s) placed before 6/14/2010. - 20% Discount coupon code WCC123 can be used repeatedly between 6/14/2010 and midnight EST 8/15/2010. - 20% Discount is calculated automatically within our website shopping cart after you've entered the coupon code at checkout. - This promotion cannot be combined with any other promotion and can be used only once between 6/14/2010 and midnight EST 7/31/2010. - This promotion only applies to new website originated orders placed during the eligible period. - The product that your order qualifies you for will be calculated against one single order - not the sum of multiple orders placed throughout the period of eligibility. - Please note: After applying the coupon code, our website will show a discount of $.01! Don't worry, we'll make sure you get the right Apple product! - Please allow 6-8 weeks for delivery of the Apple product which will ship separately from and after your order ships. - Returned or canceled orders will be credited less the retail value of the Apple product received as part of this promotion. - University Products is not responsible for typographical errors or omissions - promotion is offered in good faith but we reserve the right to cancel, amend or limit the promotion at any time. Send them to friends and family - and if you have one spare, MOO too! We always love to hear from you. And now's the time of year to stock up on office supplies and electronics for your genealogy organization and storage. Check out Amazon.com for great deals! Then hope for a prosperous autumn that year. National Back to School Month (United States). Posted August 2 - the 3rd Edition of the Carnival of Genealogical Societies - Uniquely Us! Note: This Carnival is on sabbatical and will be published in November 2010. Heads up! Submissions for the 4th Edition of the Carnival of Genealogical Societies (Genealogical Societies of Facebook) will be due September 7th. Also The Genealogy and Family History Blogger's Almanac is on vacation through August. Read Data Backup Day by Thomas MacEntee at Geneabloggers. Go here to add the above deadlines and dates to your Google Calendar, courtesy of Thomas MacEntee of Geneabloggers.